Enactus is excited to launch our newest initiative, 1 Race 2 End Waste. 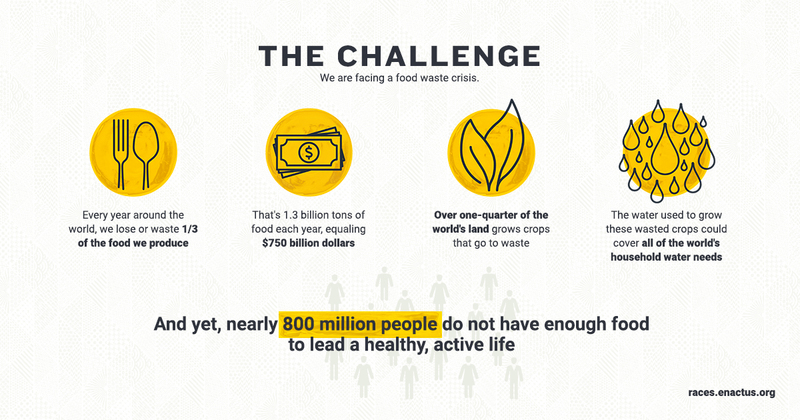 This is our call to action to create a sustainable, positive impact on the food waste crisis. Every year around the world, we lose or waste 1/3 of the food we produce. That’s 1.3 billion tons of food each year, equaling $750 billion dollars. And yet, nearly 800 million people do not have enough food to lead a healthy, active life. As an Enactus student, you see a world of opportunities. 1 Race 2 End Waste is a global opportunity for collaboration and competition, open to all 72,000+ Enactus students in our network of 1,730+ Enactus teams. We’re calling on you—action leaders—to jump in and get to work, like you always do. 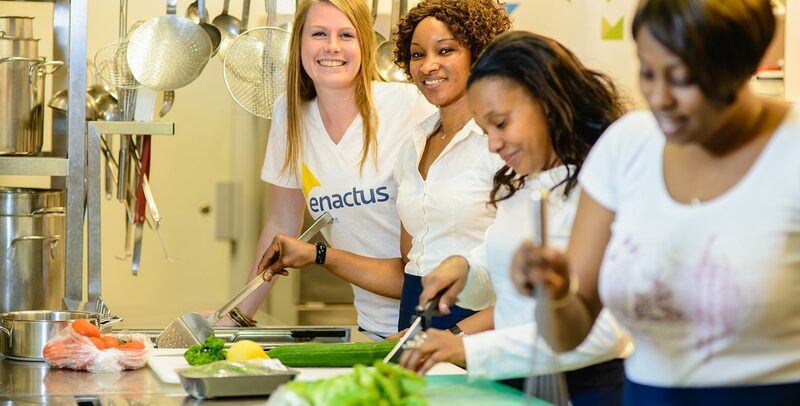 By joining the Race, you’ll also be connected to an online, collaborative community of Enactus students, faculty advisors and sponsors who are committed to tackling food waste. Connect with other teams. Gather resources. Learn from mentors. Report your progress towards impact between 1 May and 1 June 2017. This is your chance to highlight the measurable progress you’ve achieved so far. Submit a Progress Report and 77-Second Video of your efforts to compete for Progress Rewards, including exclusive executive mentorship opportunities and technology to further your progress. You’ll have the chance to compete in the 1 Race 2 End Waste Impact Competition taking place at Enactus World Cup 2017 in London, 26-28 September. Here, the top four 1 Race 2 End Waste teams will compete for up to $20,000 USD to scale their impact. Are you ready to take action? Join 1 Race 2 End Waste to apply your passion, energy and innovation towards creating sustainable food waste/loss solutions. Check out races.enactus.org to learn more and get started. Thank you to our partners for making this possible.